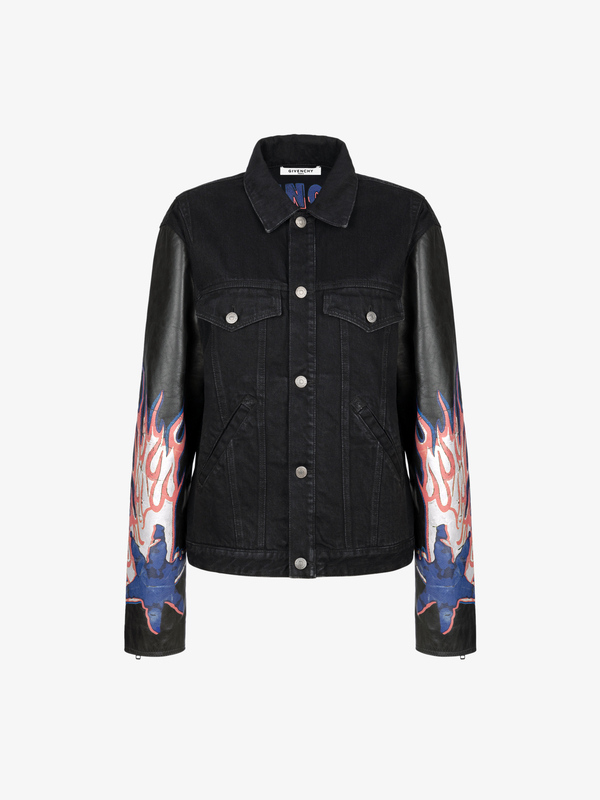 Black denim jacket with star flame printed leather sleeves. Printed zodiac pig sign on the inside. V-cut on the back, embossed stitching, and metal buttons. Two flap pockets and two patch pockets on the front.